Home » Health » Neck Pain Treatment: This Unusual Stretch Relieves Stiff Neck in 90 Seconds! 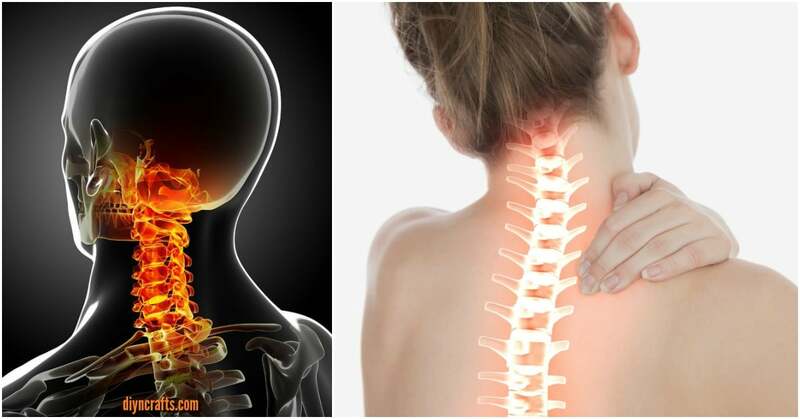 Neck Pain Treatment: This Unusual Stretch Relieves Stiff Neck in 90 Seconds! Do you suffer from tension headaches or stiff muscles like I do? I have some alignment problems in my neck and jaw, and those can easily translate to pain if I do something wrong. And that can be something as simple as leaning forward too long staring at the computer screen or bending my neck the wrong way in my sleep. I have discovered a few tricks which have helped me out with my pain issues. Magnesium oil for one is very helpful. On that note, Epsom salt can be very helpful as well. But none of this really helps to stretch the muscles and to fix alignment issues. This is the perfect stretch to perform if you have been sitting and working at the computer for a long time, if you have slept in a weird position, or if you have simply strained your neck exercising or doing an everyday task. Since it only takes a minute and a half, you can even do it at the office. Doing this a few times throughout the day can really help you out. Give it a try; I hope it works as well for you as it does for me! Video tutorial by: Motivationaldoc. I have permanent damage in my neck from holding the phone between my ear and shoulder for many years. Accupressure hs helped but I found something I can do myself. Within a short time the discomfort is gone. I use it for my lower back, too. Actually, it can be used on any muscle. It’s called Q-Flex. It was invented by a teen who was having problems. THANK YOU SO MUCH!! I have had this pain for 4 days, and I’ve tried so many things to make it stop. And this actually worked immediately. I can turn my head again. The knuckle thing hurts real bad and now I’m a little nauseous lol but thank you!! My wife often complains of a stiff neck and lower back pain. I massage her shoulder and lower back to offer her relief. I would love it if you can share your remedy. My wife’s name is Marjory who tends to be a big skeptic. Brilliant. That worked. Headache eased almost immediately. Thanks. I am.suffering a pain on my upper left back and it is radiating to my neck and left side of my head since 2014 of September. How to deal with this since I have already been to do physical rehab to this and oral meds but still im suffering from too much pain. Wow, I can’t thank you enough for this post! I’ve suffered through neck pain for years and tried just about everything to make it go away. I go to an osteopath for manipulations and he has helped me a lot, but of course I strained it yesterday and he’s out of office til at least next week. Desperately I searched for stiff neck remedies, and your post was the first one I read. So grateful, many thanks!! focal altered marrow signal intensity is noted. superior aspect of C6 vertebral body. narrowing of bilateral neural foramina with No nerve root compression. Tiny posterocentral disk herniation at C6-C7. Rest of the Cervical cord appears normal in size, shape and signal intensity. I am suffering from neck pain and also as well as I am facing NUM Ness through left hand and also on lift side face . On one side I am taking physiotherapy but no use. I am missing badminton a lot , while playing I am suffering a lot that’s why I stopped going . Kindly help me out of this. Did you ever get a reply from him? I have the same symptoms they originally thought i had trigeminal neuralgia. I’ve been in pain for 2 days with no relief in sight. Your excercise gave amazing relief in minutes. The hard knot in my neck is even gone. God Bless you. I’ve suffered for years and all the doctors would do is give me pain pills. Thank you so much.